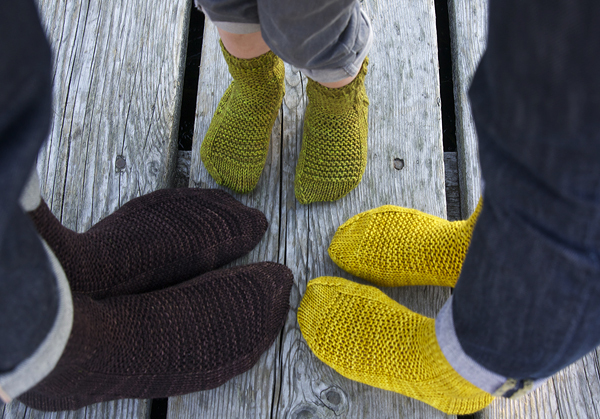 Tackle your first pair of socks with Alexa and Emily! 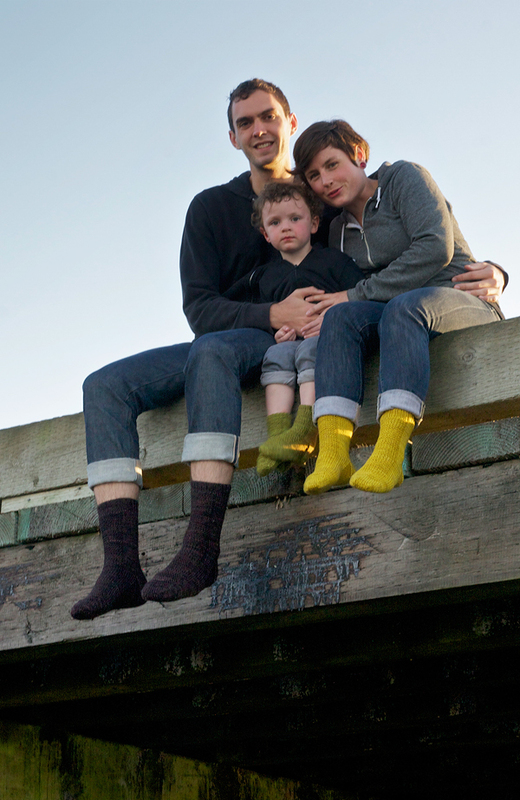 Rye is a quick-knitting sock pattern (in DK / Worsted weight yarn) sized from toddler to Dad. 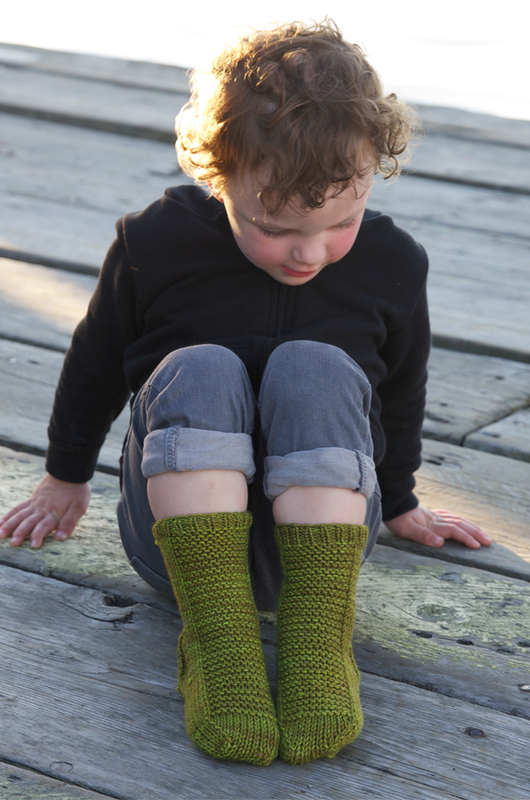 Simple, straightforward instructions and our in-depth 'Let's Knit Socks' tutorial will have you knitting socks for the entire family in no time! 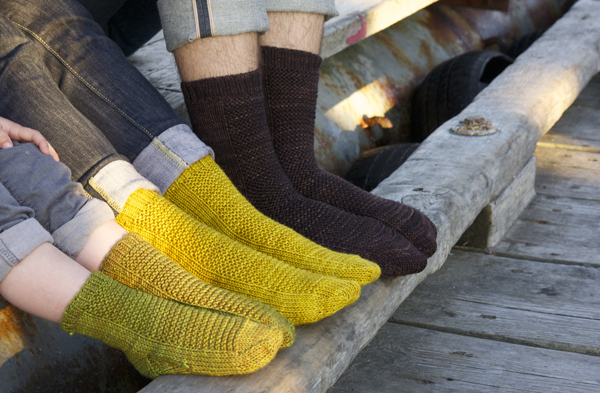 Leg (adjustable): 4 (6.5, 8, 9.5, 10.5, 11.5)"
Foot (adjustable): 4 (6, 7.5, 9, 10, 11.25)"
Knit 'top-down', these socks are cast on at the cuff, then worked in the round to the heel. 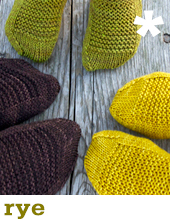 The heel is formed by working the heel flap back and forth in rows, then the heel turn is shaped by short rows which decrease and 'turn' the corner. Stitches are picked up along the sides of the heel flap, the work is joined into the round again, and the gusset is worked in decreasing rounds. The foot is worked in the round to the toe which is shaped decreases, then seamed closed using kitchener stitch (also known as grafting).